DU declared its first cut-off list this Friday (June 23rd), and the mental state of students since then has been helter skelter. 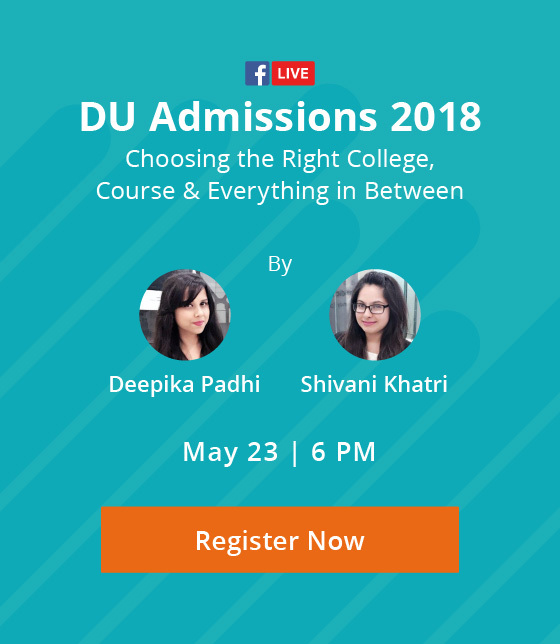 Amongst all the frenzy of checking whether they made it to their target college/course, locking their choice on the DU website, and collecting all documents for the admissions, there is still one essential element that students are still not entirely clear on. Yes, it is the much-perplexing best-of-four calculation. Despite all the information out there from official and unofficial sources, we have so many students coming up to us asking which subjects they should and should not include in their best-of-four score. 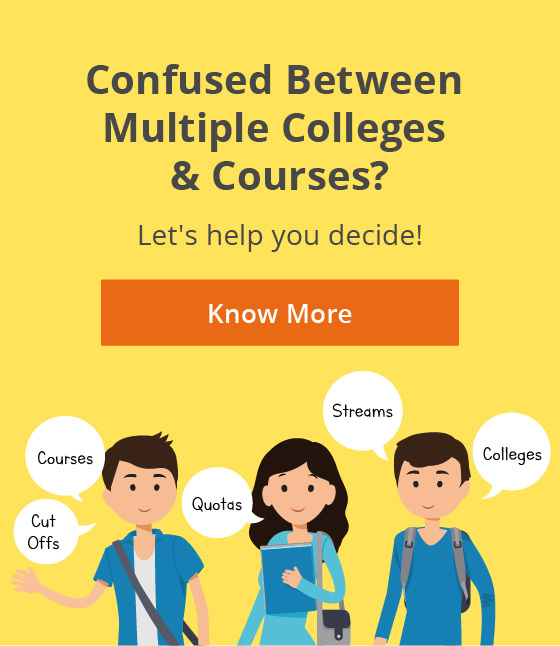 Considering that it is the most vital part of the admissions process, you need to have a fool-proof understanding of it before you proceed to a college. We are sure you would not want to travel to your chosen college with hopeful eyes, only to be told that you fall short of the cut-off, just because you got your best-of-four calculation wrong. So read on to get all the clarity you need regarding how to calculate best of four percentage, and grab the course of your choice. While calculating your best-of-four score for science courses, the minimum eligibility criteria is for you to have studied Physics and Chemistry in class 12th. For Biology-based courses, such as Zoology, you need to have Biology too in your class 12th. BSc (Hons.) Home Science – Physics/Chemistry, Biology/Biotechnology, any subject from list A (except languages). As opposed to the science courses, mathematics and computer science courses can be pursued by students from any stream; the only requirement for eligibility is for you to have pursued Mathematics in your class 12th. The domain includes courses such as B.Sc (Hons.) in Mathematics, Statistics, Computer Science and B.Sc Mathematical Sciences. Keep in mind that adding a subject to calculate your best-of-four score that is not there in List A (for example, Physical Education) will again lead to a deduction of upto 2.5 percent marks, for each subject not included in the list. For B.A (Hons.) courses, the subject you are pursuing the honours course in, needs to be included in the calculation. For example, your Psychology percentage/marks will have to be included in your best-of-four, if you are applying for a B.Sc. (Hons.) Psychology course, even if it is not one of your highest scores. Not doing the above inclusion will lead to a deduction of upto 2.5 percent marks from your total score. For B.A. (Hons.) Social Work and B.A. (Hons.) 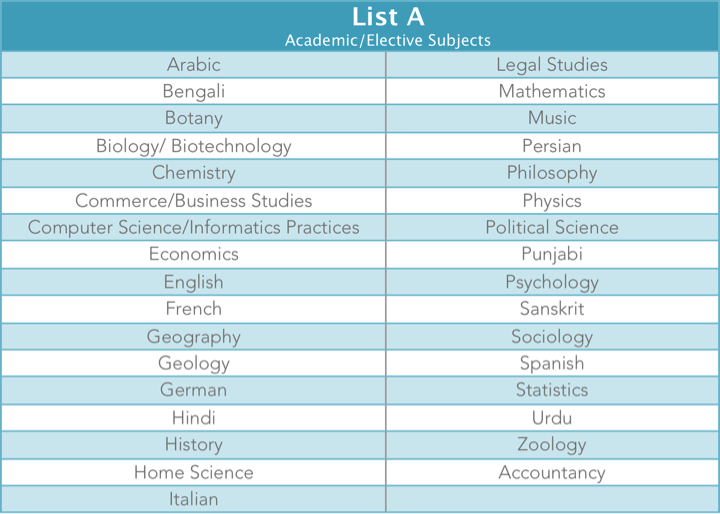 Philosophy, you just need to include one language and any 3 subjects from List A, since these subjects are not offered in class 12th. For the B.A (Hons.) Economics course, Mathematics is a mandatory subject in class 12th, without which you will not be eligible. Adding a subject not in List A (for example an elective subject, such as Physical Education) will lead to a deduction of upto 2.5 percent marks. For B.A (Hons.) Journalism (Hindi/English), the language included as part of the calculation should be Hindi and English, respectively. Mass Media Studies will be treated as an academic subject for the purpose of admission to B.A. (Hons.) Journalism (Hindi/ English). Students from Science and Commerce streams may face a deduction of upto 5% marks due to a change in stream. The actual percentage deducted here would vary from college to college, thus it is advised to check with the college you are applying to. One non-listed subject (from List A) can be included in the best-of-four calculation without any deduction. Beyond that, one would face a 2.5% deduction. Students opting for Modern Indian Language (MIL) (except Hindi) as a subject can get an advantage of up to 10% in their score. This is only applicable for colleges which offer MIL as a subject. Delhi University also offers a range of courses in various languages, both Indian and Foreign. Apart from the much-opted for B.A (Hons.) in English and Hindi, the university also teaches other language courses, such as B.A (Hons.) in Sanskrit, Arabic, Persian, Punjabi, Urdu, Bengali, French, German, etc. Students seeking admission to a language course, who have studied the particular elective language in 12th, will get an advantage of 2% in their best-of-four score. If a student has not studied the language they are seeking admission in (except for Honours in English and Hindi), he/she would face a deduction of 5% from their best-of-four score. For B.A (Hons.) English or Hindi courses, you are required to include their score in your best-of-four score. The two merit-based commerce courses offered by Delhi University, B.Com (Hons.) and B.Com Programme, are some of the most sought-after courses in the University. The university has radically modified its calculation for these courses this year. In a way, they have tried to benefit students from commerce stream, by applying deductions and thus preventing Science and Humanities students from readily grabbing seats in these courses. For each subject a student includes from list C2, he/she would face a deduction of 1% from the best-of-four. If a student includes subjects that are not listed in C2, or the core ones mentioned above, he/she would face a deduction of 2.5%, for each subject included. Mathematics/Business Mathematics in class 12th is a compulsory criteria to be eligible for the B.Com (Hons.) course. For science subjects, in the boards where theory and practical marks are not in the 70% theory and 30% practical format of the CBSE, they need to be converted proportionately. There, not so difficult now, is it? In case one has studied both elective and core languages, the core language subject will be treated as the language, while elective language can be considered as an additional academic/ elective subject for the calculation. Many colleges have 1% relaxation for different courses for girl candidates. The university has listed them out extensively as part of its UG admissions bulletin. So here it is, Delhi University cut-offs demystified. For specific information on UG courses, colleges and examples of best-of-four calculations, check out the official Delhi University bulletin here.